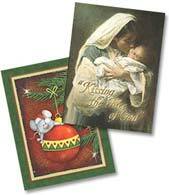 Say "Merry Christmas" or "Happy Holidays" with Christmas Cards from LeaninTree.com! 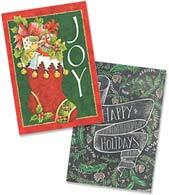 You'll find the perfect Holiday card for everyone on your list — including your friends, family, and business associates! 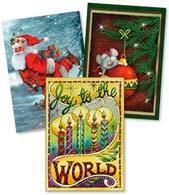 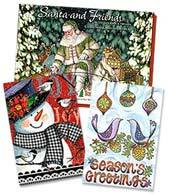 Choose individual designs or select from many value-priced boxed Christmas assortments — you'll find everything from cheerful Santas, to funny holiday cards, to scenic landscapes, and religious sentiments. 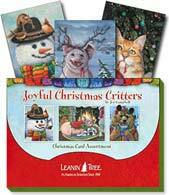 Or create your own one-of-a-kind cards using your own photos and greetings when you choose our Personalized Cards — just look for the pencil icon ! 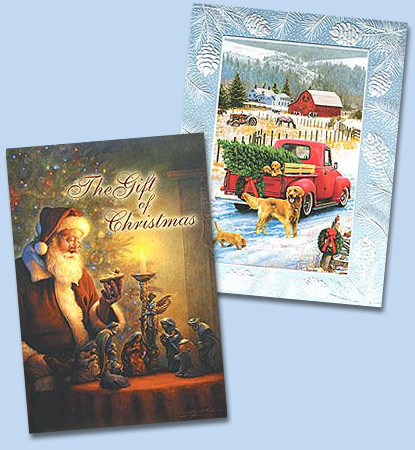 Find the perfect Merry Christmas card messages and sentiments when you browse our suggestions for What to write in a Christmas card!